Get in touch with your Creative side - Take a class at TheCamellia! Choose from Cottage Paint classes, Floral creations, Bridal Party DIY classes, Lavender & Dried Flower Workshops, and Free Demos. Escape to the Beach this winter! Take a Beach/Lake - Paint and décor class- at the Camellia. Wed. February 20th. 7-9pm. Times subject to change. · Beach slideshows from Antigua and other beaches. 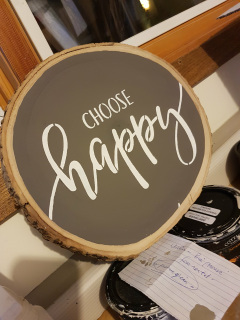 Make this HAPPY Wood round just in time for Summer! You will be painting a black ash round of wood, with Cottage Paint and the words HAPPY, doing a small stencil and finishing your project off with Cottage Paint varnish. 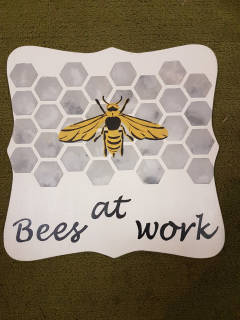 Class is 1.5 hours or so, and a fun project if you want to learn how to make your own signs. Wood round, paint pen, Cottage Paint and writing template are included. Dates for 2019: Wednesday, March 6th. 2019, 7-9p. 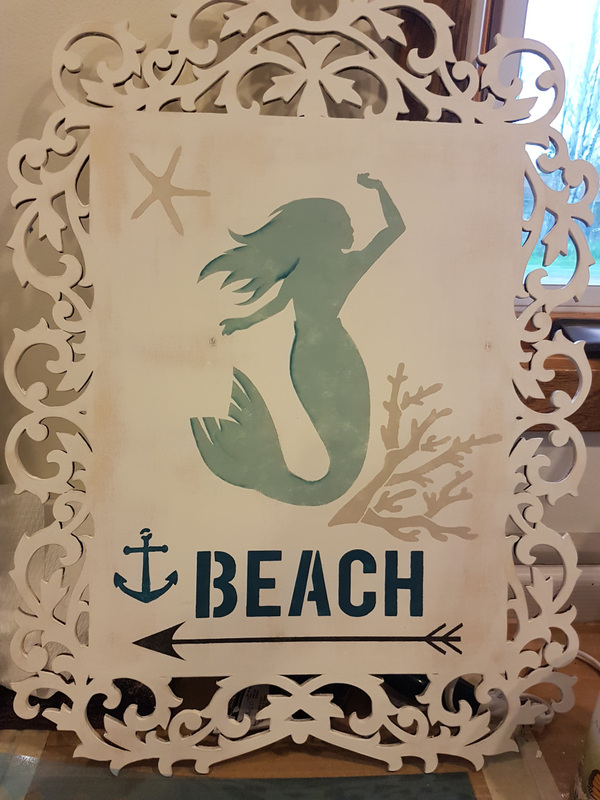 Do you love all the Beach and Spring wooden signs, and want to learn how to make them? Then this class is for you! 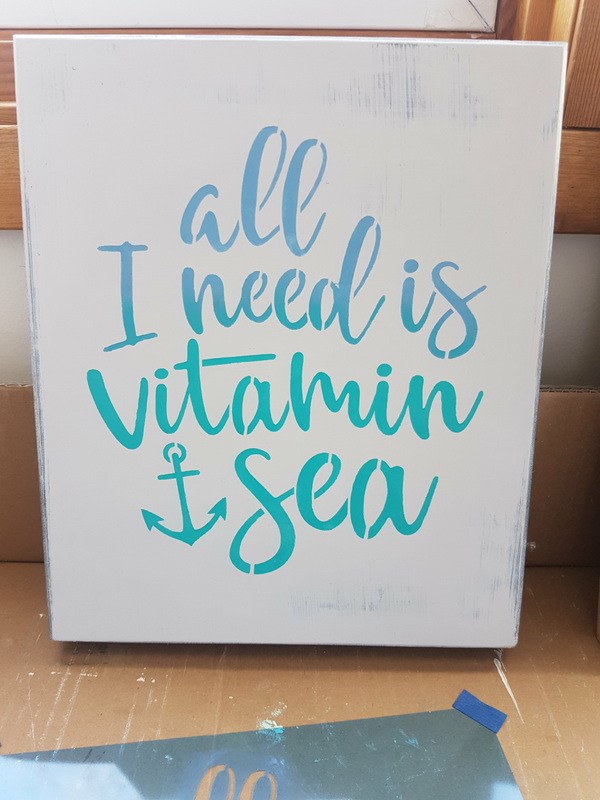 All paint and supplies are included, you will be going home with a completed piece, and will use our Cottage Paint and stencils. Tentative date: to be announced. In this Workshop, you will learn how to make scented Lavender sachets, bath salts and/or Tub teas. Supplies are included in your Class fee : 3 organza sachet bags, 2 (2oz. 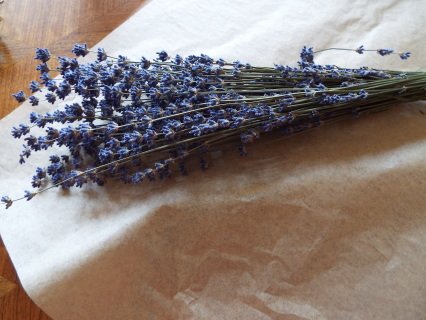 bags) of Lavender buds, & Lavender essential oil, bath salts, petals, etc. We will have available for purchase Neob Niagara Grosso & Angustifolia Lavender products – Body Lotions, Soaps, Muscle & Joint Pain reliever, & Lavender Shea Butters. Learn how to use Lavender in your daily life to help reduce stress, and induce a good night’s Sleep. DATE: To be announced. Probably sometime in May, 2019. You can make your own time with a group of 4 or more. 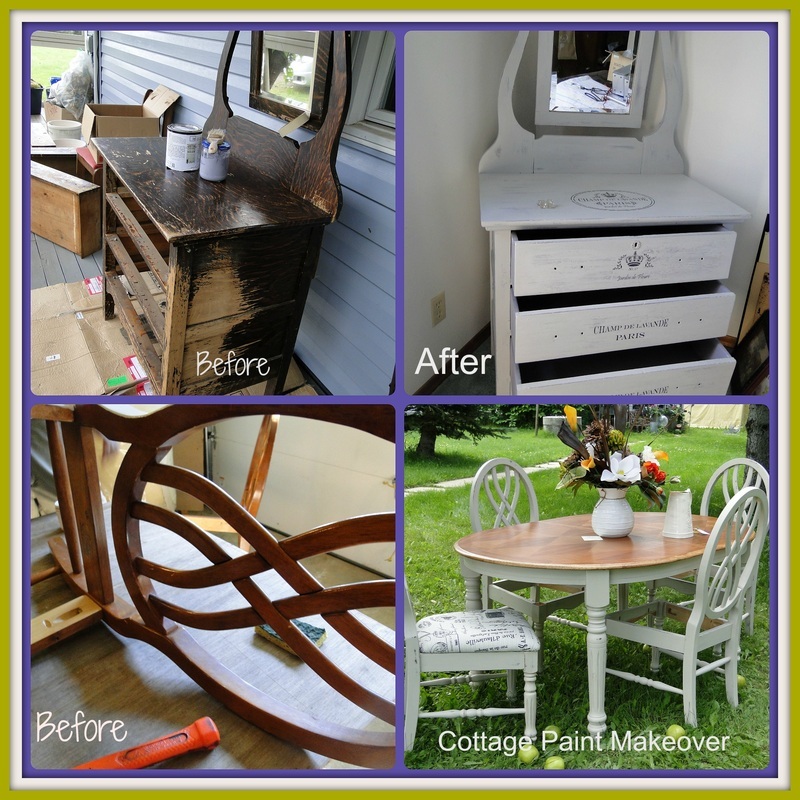 Learn how to turn new wood into old barnwood with Cottage paint. Barnboard can be costly and hard to find. 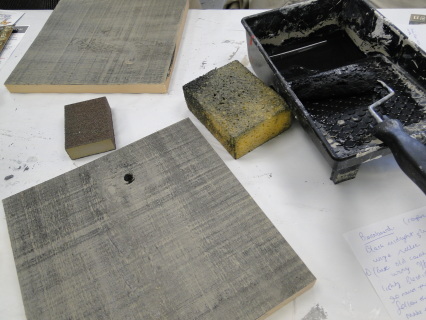 The techniques you learn in class will allow you to create wall coverings, window or door mouldings, furniture pieces , and feature walls. 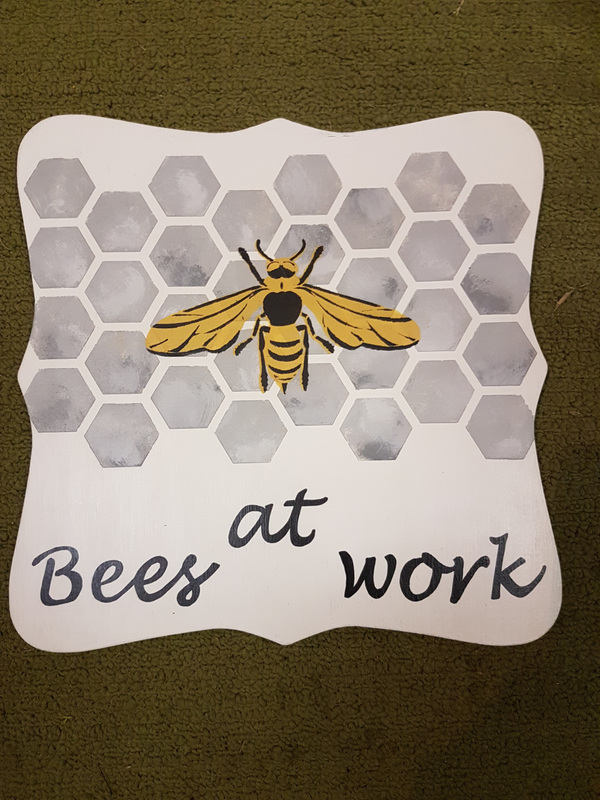 All supplies are included in the class fee, you will be going home with your piece of new barnboard.. Price of $50.85 includes hst. Call 475-3551 to pre-register for this workshop. A Day at The Beach DIY Beach projects. Are you a Beach person? Then this class is for you! we will be making a simple linen coloured shell wall art panel, and a natural Burlap round wreath with seashore-themed ribbons, decomesh, and assorted seashells and starfish.. These pieces will go with any Lake or camp decor. Price shown is for Burlap Wreath only. 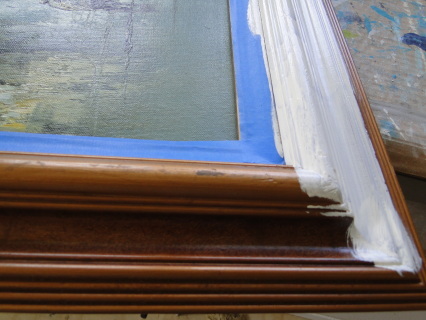 Add $40.00 if you would like to make the Linen shell panel. 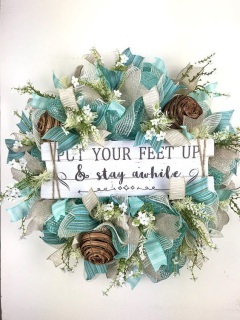 Wreath shown is an example only, and our wreath and sayingmay differ. Tentative Dates : Saturday, Feb. 23rd. 2019, 1.00 pm to 3.30pm. You can make your own time by booking a time if you have 4 or more friends. Class times may change. DATES: March 9th. 2019 from 1.00pm to 4pm. 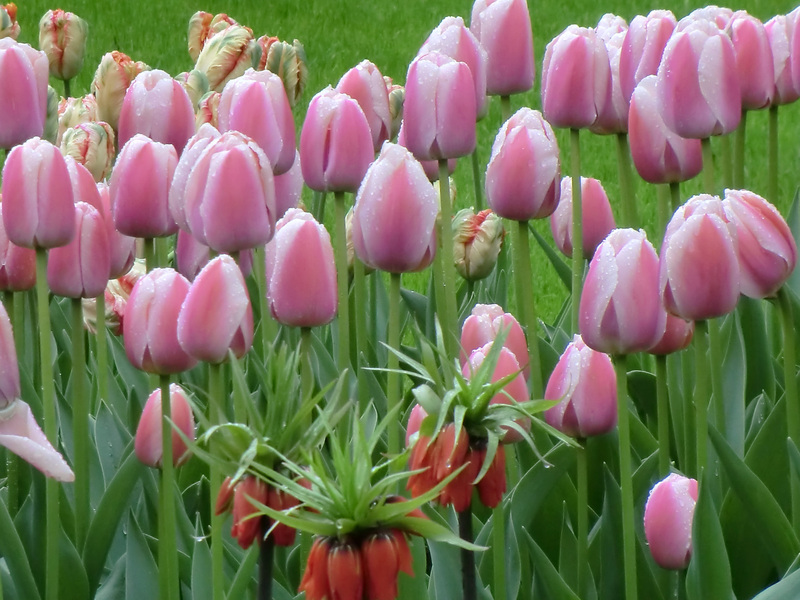 Learn how to add Spring to your Home easily by changing out Flowers, decor, and accessories. Tentative Date: Sunday February 3rd. 2019. 1-2p. 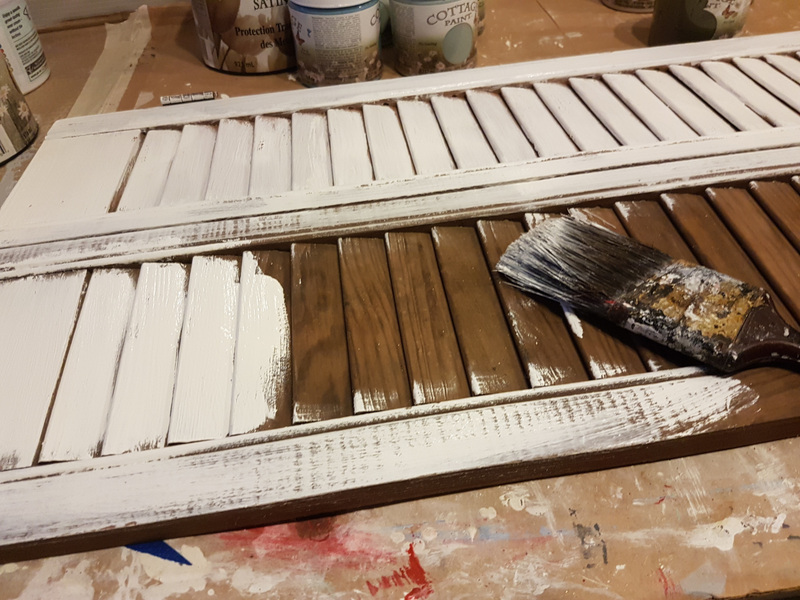 Paint your own sign on a 100 yr.old wooden shutter, using Cottage Paint and waxes. 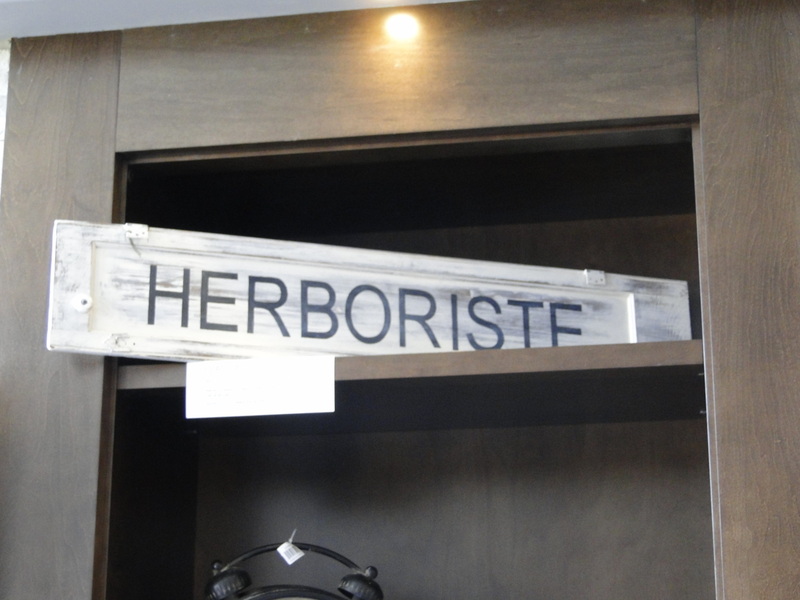 Choose from HERBORISTE, or FARMHOUSE or LAKEHOUSE. Supplies of 1 wooden shutter, one 8oz. jar of Cottage Paint, 1 jar of satin wax, and Sharpie are included in price of class. This is a 2 session class, , 6.30 -9p. Price of $84.75 includes hst. Phone us to arrange a time that works. You can make your own class with a group of 4 or more. 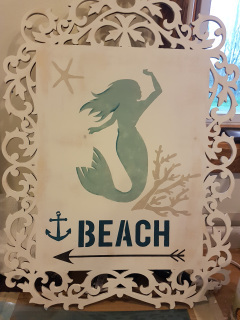 You will learn How to stencil, shading techniques, and hand-lettering which you can use to make your own signs! Class time subject to change. 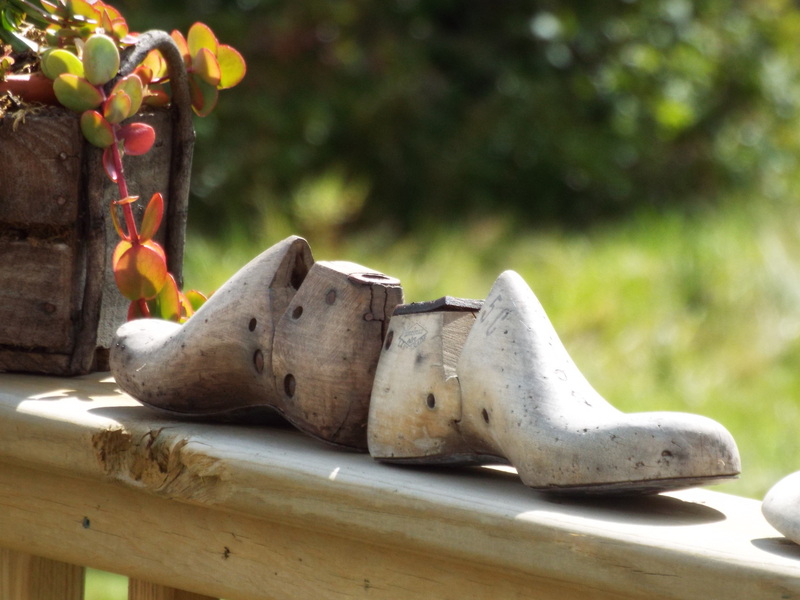 This is a fun paint project - the antique shoe last will make a great paper-weight or a Gift for a friend that loves Vintage shabby chic. 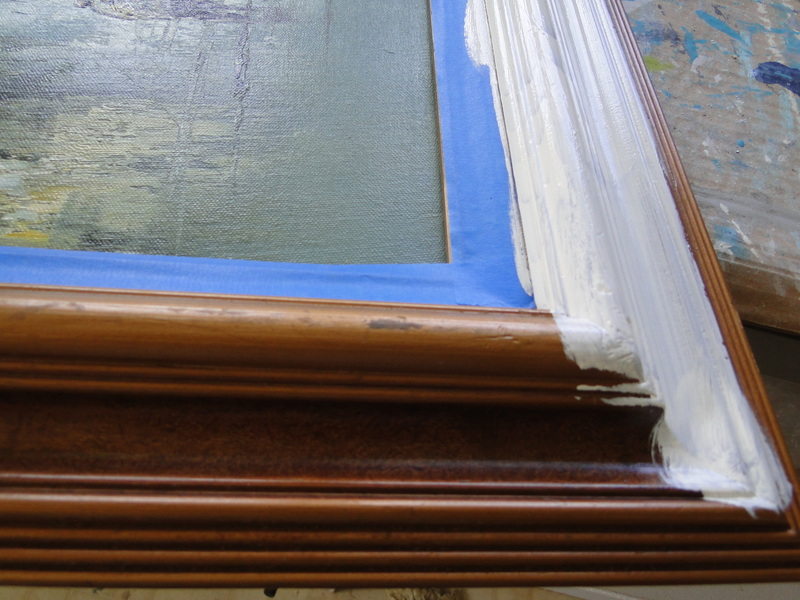 You will be learning how to paint with #CottagePaint, and will go home with a completed Antique shoe last. You can make your own class with a group of 4 or more. Phone (807)475-3551 for arrange a date and time. Make your own Lavender Gather with fresh-from-the-Farm Lavender, Huck & Birch twigs, preserved leaves and ribbon. Lavender is grown on a Farm in British Columbia, we will be using a dark blue variety. 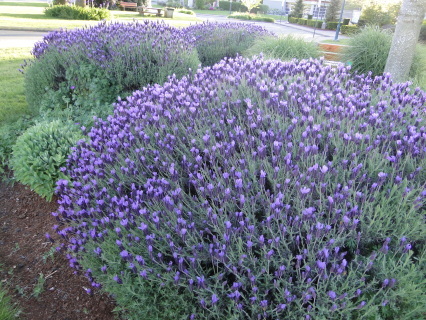 Lavender is a natural air freshener in your home. Price includes all supplies +hst. Phone 475-3551 to arrange a time. Bring in your Ideas, photos & Pinterest boards and meet with Camille to discuss your Wedding Flowers, Favours & Invites. Stay awhile, and check out our Bridal Registry for Linens, and Bridal classes. Bridal - Make your own Vintage Bridal Bouquet. Have Heirloom Vintage brooches and other items which you would like to incorporate into your Bridal Bouquet? Not sure where to start? 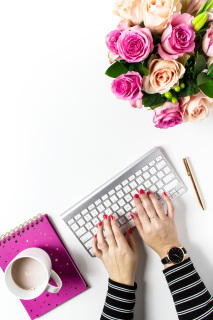 Bring in what you have for an initial Consultation, we will discuss what you want to create, also send ahead your Pinterest wedding boards and style of Wedding dress. 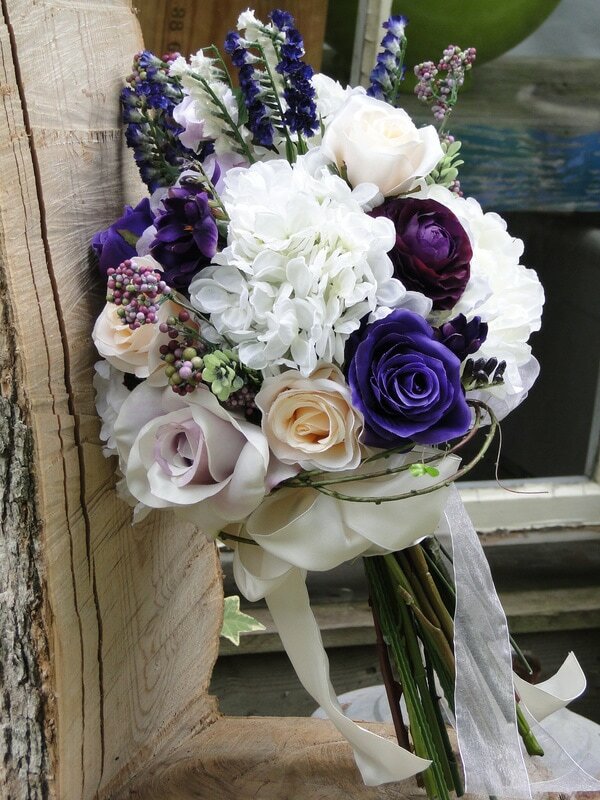 Once we determine what additional supplies you will need to make your bouquet, we can estimate a cost. How many hours will it take to make a bouquet? This will depend on the size and complexity of your bouquet, and your level of skill. We can then arrange a Class for you where you will make your Bouquet. Our Class labour fee is $25.00 per hour, with an additional Workshop supply fee to cover wire, glue, tape and so on. Not included in this fee are brooches, ribbons, silk flowers, pearl garlands, and other bling. TIME: Call to arrange a time that will work best for us. Have a group of 4 to 6, and want to book a class ? Just call us at 807)475 3551, and we can arrange a time for you. If the times of the above classes do not work for you, let us know what times work better for you, and we'll do our best to fit you in.